Jagiellonian University Medical College is the oldest medical school in Poland. The Jagiellonian University’s Faculties of Medicine and Pharmacy are acclaimed as one of the largest medical academies in Poland. 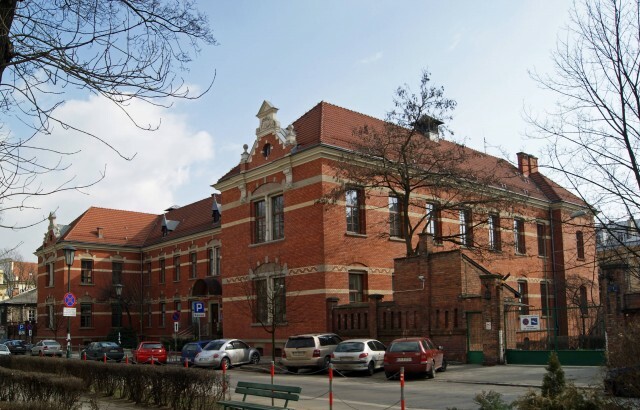 The school was established by Casimir III of Poland in 1364. 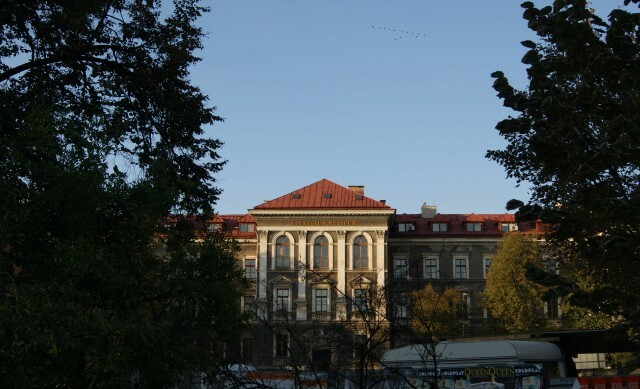 The origins date back to the academic year in pharmacy in 1783, when it was founded in Cracow Academy Faculty of Pharmacy and Medical Matter. This department was subsequently reorganized by the Commission of National Education. John was responsible for the Chair Szasterowi, pharmacist and doctor of medical sciences. He expanded the curriculum used for pharmacy, pharmacognosy, pharmacology, toxicology, hygiene and pharmaceutical chemistry. Initially, study lasted two years and the first diploma was presented to Samuel Hoppenowi in 1797. For many years the Department did not have a permanent place. Students gathered in the pharmacy under the Sun “, which belonged to John Szaster and was located in the Market Square Pharmacy, at that time had in his possession Land together with fully equipped workshop, where he produced the first drug, called by students’ pharmaceutical cabinet.” Based on the decision of the Jagiellonian University Senate of 26 February 1997, with effect from 1 October 1997 Department of Nursing became the Department of Health. With effect from 1 October 2007 renamed the Department of the Faculty of Health Sciences. B.J. 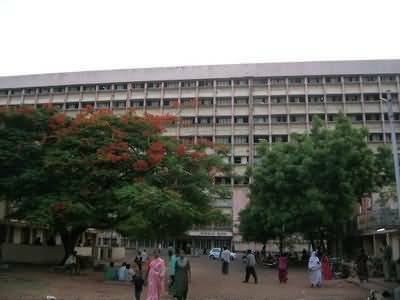 Medical College, Pune is one of the premier medical institutions in Maharashtra and India.The B.J. Medical School was started in 1878 and was converted to full-fledged BJMCin 1946. It has consistently ranked among the top 10 medical colleges in India for several years. BJMC is just five minutes of walk from Pune central railway station. 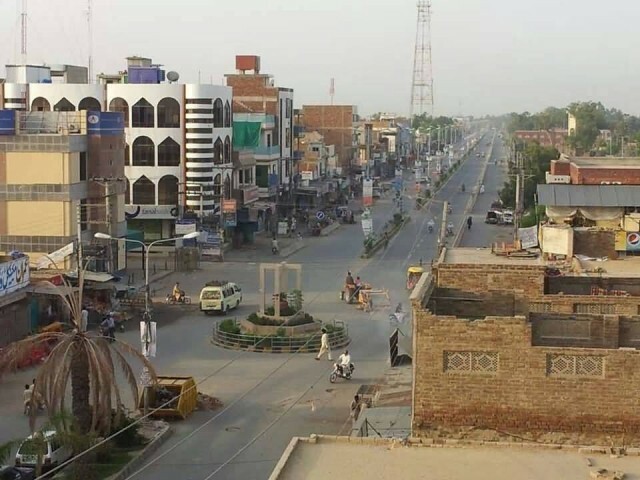 It is also a major referral centre for many of the surrounding districts. The hospital has state-of-the-art facilities in medical specialities including a cardiac catheterization laboratory, CT imaging, Upper gastrointestinal tract endoscopy etc. Weekly clinics are run for few medical and surgical super-specialties. Every year, the college admits 200 students to the undergraduate (MBBS) course. The method of selection is a combination of entrance examinations held at the state and national levels. BJMC Pune offers training in pre-clinical, para-clinical, and clinical disciplines. The duration of training is 3 years for degree (MD or MS) courses, and 2 years for diploma courses. As for the undergraduate courses, the method of selection is by competitive entrance examinations held at the state and national levels. In addition, some seats are reserved for medical officers who have completed a pre-specified number of years of service in the rural areas of the state of Maharashtra. The only superspeciality training course offered is MCh in Cardiovascular and Thoracic Surgery. 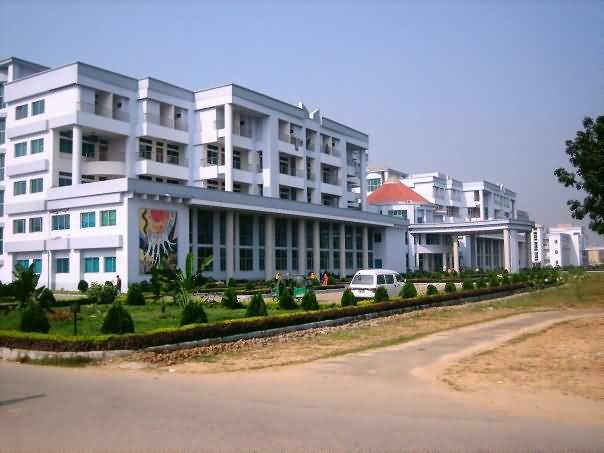 Shaheed Ziaur Rahman Medical College, located in Bogra town, was established in 1992. It has a 5-year medical education course leading to an MBBS. One-year internship after graduation is compulsory for all graduates. The college is affiliated to the University of Rajshahi, and the degree is recognised by the Bangladesh Medical and Dental Council. College was established in 1992. At first, it was started as a medical college collaborating with Mohammad Ali Hospital, Bogra. In 2006, a brand new hospital and college campus was constructed on the outskirts of Bogra city, beside the Dhaka-Rangpur highway named on the basis of Shaheed President Ziaur Rahman who was born at Bogra. On 31 August 2006, the new campus at Silimpur started its journey. Previously about 50 students could get the chance to study there through nationwide examination for admission to public medical colleges of the country every year. From 2005, the numbers increased to about 150. 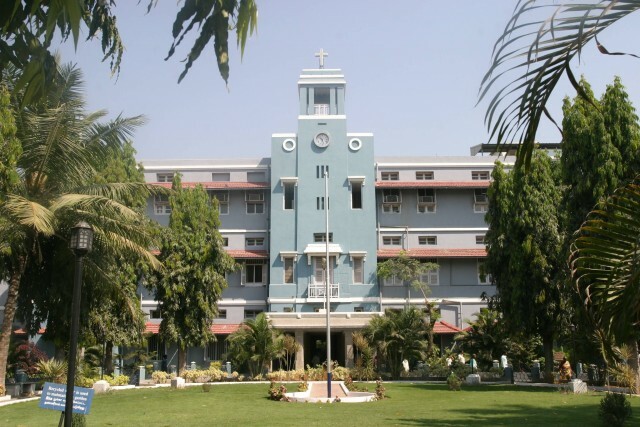 Christian Medical College and Hospital, Vellore is an educational and research institute and a tertiary care hospital located at Vellore, Tamil Nadu, India. It is one of the prominent and well known medical destinations in India, having reputations nationally and internationally. It is also one of the top ranked medical colleges in India. 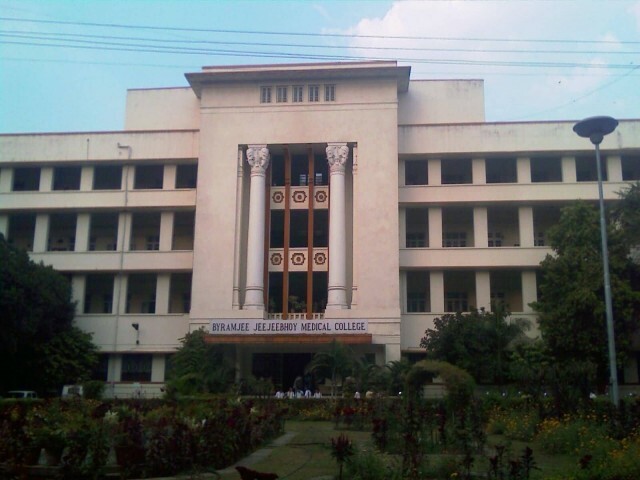 Founded in 1900 by an American missionary, Dr Ida S. Scudder, the institute has made significant achievements in the past like starting the first college of nursing in India (1978), performing the first Reconstructive Surgery for Leprosy in the World (1948), performing the first successful Open Heart Surgery in India (1961), performing the first Kidney Transplant in India (1971), performing first Bone Marrow Transplantation (1986) in India and performing the first successful ABO incompatible Kidney Transplant in India (2009). 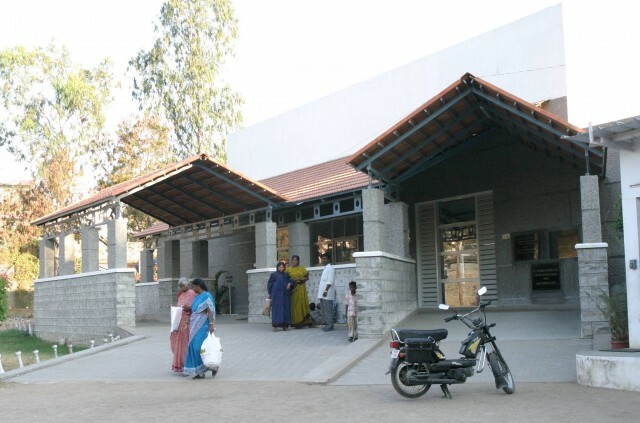 The hospital was given the National Citizens Award as India’s best employer in 2003, the MM Award for Excellence in Healthcare and the Gurukulijyoti Award in 2007. Kathmandu Medical College And Teaching Hospital is a medical school located in Kathmandu the capital city of Nepal. Established in 1997, KMC has proved to be one of the private medical college in Nepal. The college is permanently affiliated to Kathmandu University and fully recognised by the Medical Council of Nepal, Sri Lankan Medical Council, General medical Council of Great Britain and Medical Council of India. Kathmandu Medical College Teaching Hospital has also been listed in the WHO’s World Directory of Medical Schools electronic format as from June 2002. Around 150 students are enrolled Annually for MBBS program.Candidates who have completed 17 years of age at the time of their applications and who fulfill the following criteria are eligible to apply for the MBBS programme at KMC. Completed 10+2 years of education or Intermediate of Science (I.Sc) or equivalent, with English, Biology, Physics and Chemistry as main subjects and having secured not less than 50% marks in the subjects mentioned above put together and an overall aggregate of 50%. 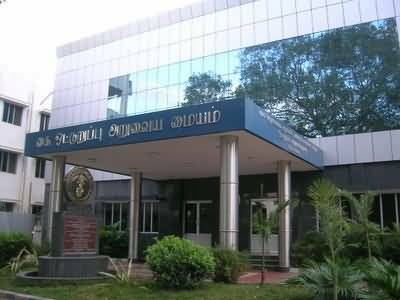 Stanley Medical College (SMC) is a government medical college with hospitals, located in Chennai (Madras) in the state of Tamil Nadu, India. Though the original hospital is more than 200 years old, the medical college was formally established on July 2, 1938. Stanley Medical College is ranked 22nd in the India Today 2014 survey. The medical college and the hospital is considered one of the best state-owned medical facilities and educational institutes in the country, with a Centre of Excellence for Hand and Reconstructive Microsurgery and a separate cadaver maintenance unit, the first in the country. By legacy, the hospital’s anatomy department receives corpses for scientific study from the Monegar Choultry from which the hospital historically descended. Stanley Medical College and Hospitals is one of the oldest and well known centers in India in the field of medical education. There are separate boarding and lodging facilities (hostels) for male and female students. The men’s hostel has separate kitchen and dining facilities for undergraduates, house surgeons and postgraduates respectively. 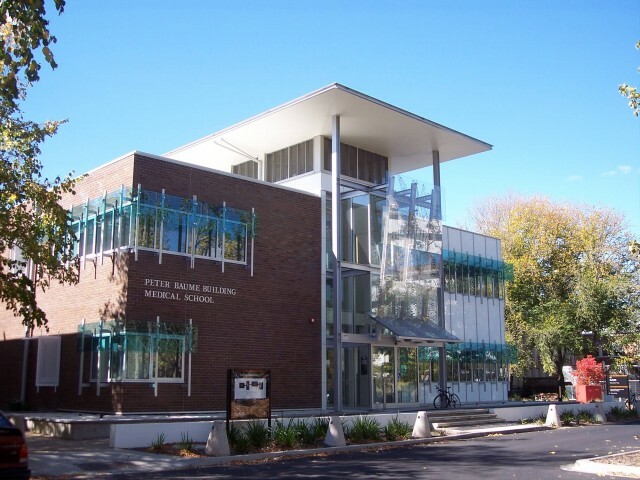 The Australian National University Medical School is a graduate medical school that received the Australian Medical Council accreditation for the M.B., B.S. program in November 2003. Under the leadership of the Foundation Dean, Professor Paul Gatenby, the first cohort of students commenced in February 2004. The current Dean of Medicine is Professor Nicholas Glasgow and Deputy Dean of Medicine Professor David Ellwood. The medical school houses nationally and internationally renowned academics and clinicians, including Dr. Simon O’Connor, co-author of the popular clinical textbook, Clinical Examination. Walter Burley Griffin’s plan for the design of Canberra not only designated Acton Peninsula as a hospital site, but did so whilst simultaneously placing it adjacent to a university where he envisaged a medical school would be located. One of the best extant sources of evidence of the geometry and intent of Walter Burley Griffin’s formally adopted plan for Canberra, is set out in the Report of Federal Capital City Designs of the Board of the Parliament of the Commonwealth of Australia (1912). The University of Alabama School of Medicine at UAB, or UAB School of Medicine as it is more commonly known, is a public medical school located in Birmingham, Alabama with branch campuses in Huntsville, Montgomery, and at the University of Alabama College of Community Health Sciences in Tuscaloosa. Residency programs are also located in Selma, Huntsville and Montgomery. In the 2012 edition of US News and World Report, the University of Alabama School of Medicine was ranked No. 30 nationally in research and No. 10 nationally in primary care. 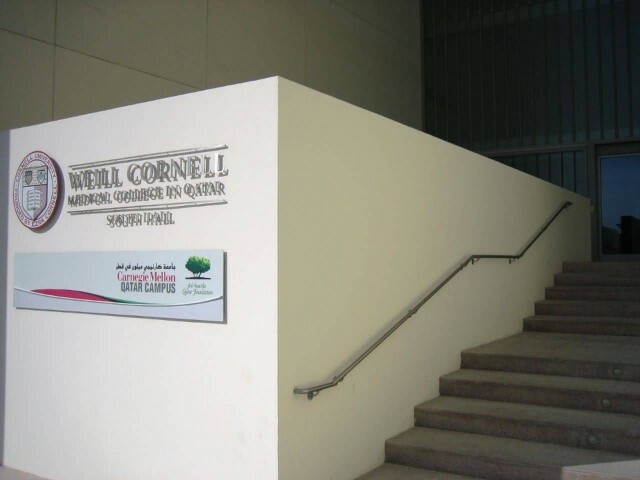 The Weill Cornell Medical College in Qatar was established on April 9, 2001, when Cornell University signed an agreement with the Qatar Foundation for Education, Science and Community Development to bring a branch of its medical school to Education City, Qatar, near the capital of Doha. The medical college maintains the same standards for admission and education as the Weill Cornell Medical College in New York City, but ffers both undergraduate and graduate courses of study, each with separate admission: a two-year non-degree pre-medical program followed by a four-year M.D. program. 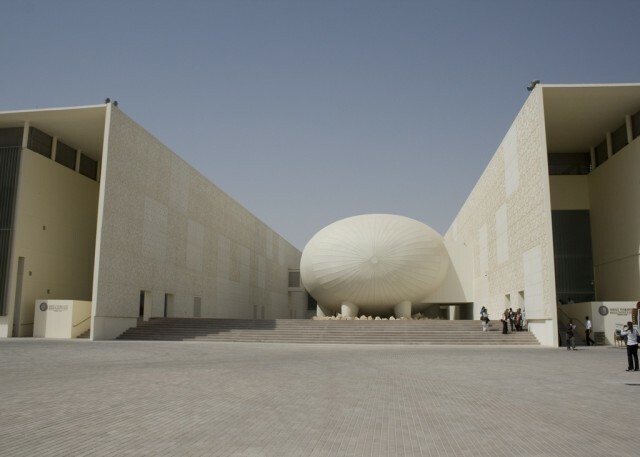 The pre-medical program opened in the fall of 2002, and was apparently the first coeducational institute of higher education in Qatar. DG Khan Medical College proffered as Ghazi Khan Medical College established in 2010, is a public school of Medicine located in Dera Ghazi Khan, Punjab, Pakistan. 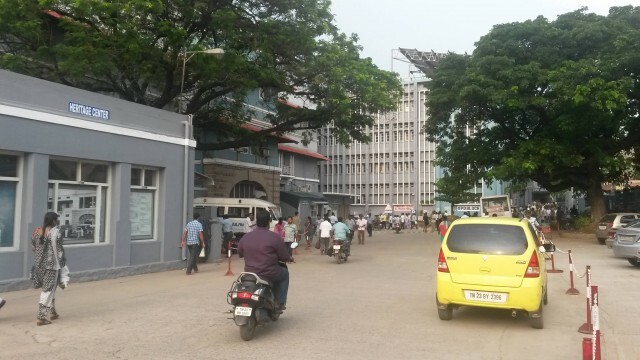 District Headquarters Hospital is attached to the college as the teaching hospital. The project for four new medical colleges was presented by a seven member King Edward Medical University team earlier in 2009. On 27 November 2010, Chief Minister Punjab, Shahbaz Sharif laid the foundation stone of four new medical colleges including DG Khan Medical College. 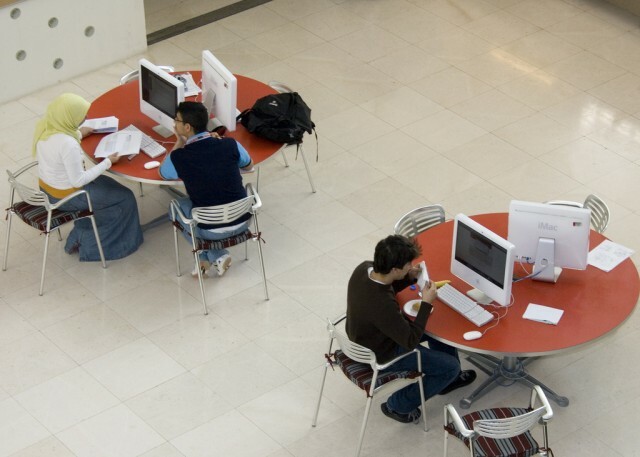 The College admits 100 students on open merit. Admission is gender neutral and is granted through a centralized Medical College Admission Test conducted by the University of Health Sciences Lahore annually. DHQ Dera Ghazi Khan has been attached with Nawaz Sharif Medical College as a teaching hospital. It was established in 1901 as a small civil hospital. 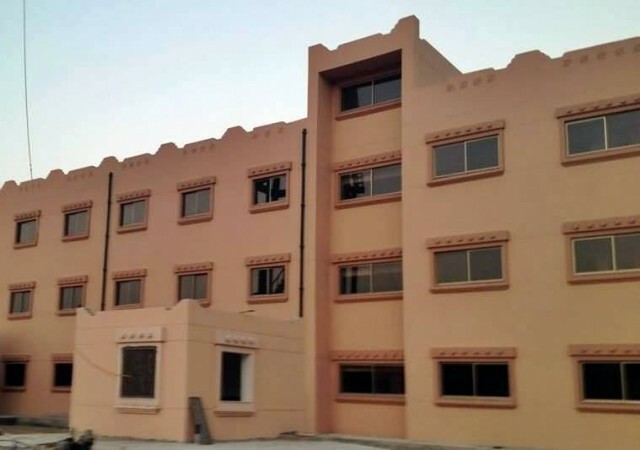 With the formation of DG Khan Medical College, it was upgraded to 500 beds in 2010 and attached with Ghazi Khan Medical College.